My general rule of thumb is that if there are more than two buttons involved, don’t bother porting it to mobile. If a game is simple enough and designed thoughtfully enough, it is possible to forget that you’re playing a game on a touchscreen that was designed for a TV screen. I call as my first witness, the excellent Sonic CD and Sonic 1 ports by Christian “Taxman” Whitehead, who more or less wrote the book on Sonic physics. If you’re a Sonic fan, I’m betting you’re humming the boss music right now. Sonic has always been one of my favorite franchises, but it hasn’t been easy to be a Sonic fan in recent years. The abomination known as Sonic the Hedgehog 4 (episodes I and II) was a waste of a title that wasn’t even as good as many Sonic fan games. What do you do when you pour hundreds of thousands of dollars (I’d say millions, but I’m not sure the budget was even that high) into a game and you realize it isn’t as good as a game developed for free? You hire the fan game developer. This is probably the smartest move Sega has made in a long time. They’ve done a million ports of the original Sonic title, and only a few of CD, but this generation is undoubtedly the best version of either, despite the touchscreen controls. One of the best things it has going for it is that it’s not just straight emulation. I have emulators on my phone, I’m not going to shell out money for a game I already own several times over just to play it on a tiny screen if you don’t do anything new with it. Not as good as flying over the whole level, but at least they bothered to give us something for our trouble. 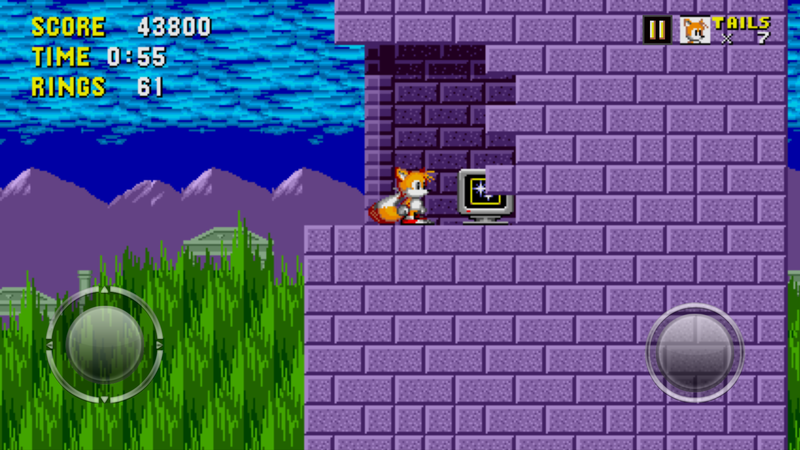 The new mobile ports of these games add new features: play as Tails in Sonic 1 and Sonic CD, as well as Knuckles in Sonic 1. Better than that, they showed that they were actually paying attention, and bothered to fix some problems that would arise from simply hacking in new characters, such as being able to fly over the cave portion in Marble Hill Zone. They also added Sonic 2-style spindash to both titles, which really makes the game a lot more playable. 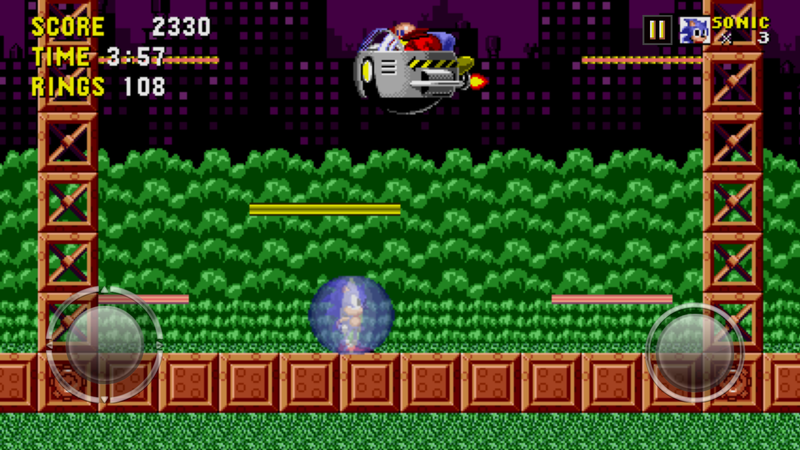 The game is widescreen and runs at full 60 FPS, even in Sonic CD’s “Mode 7” 3D bonus stages, which were locked into a horribly unresponsive low framerate in the original due to technical limitations. Add to that the fact that Sonic has very simple controls (move left and right and jump… can’t get much simpler than that), and Sonic makes a great mobile port. Not all mobile ports are so gracefully executed. 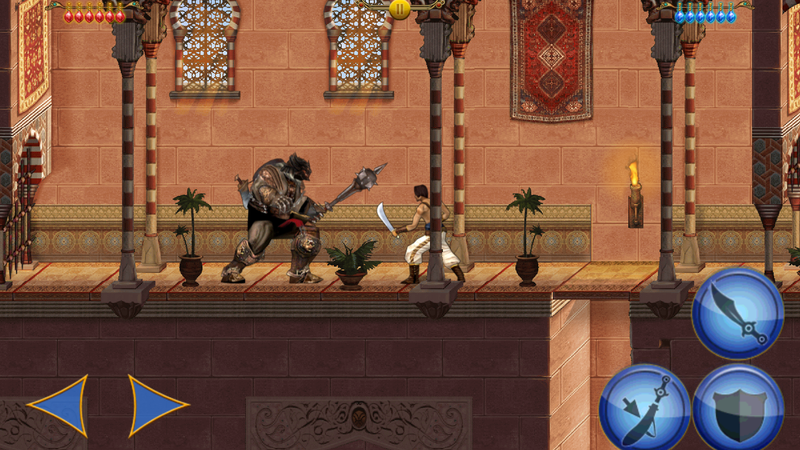 Prince of Persia was literally my first video game ever. I’m told that when I was a baby, I would sit on my mom’s lap and watch her play Prince of Persia for long periods of time and never make a sound. I’m sure child psychologists would have all sorts of interesting things to say about that, but fortunately for me (and maybe for you) this is not a blog on psychology, it’s a blog on gaming. Anyways, I’ve revisited the Jordan Mechner classic on a few occasions (it’s been ported to everything), as well as some of the later installments (which have consistently had less and less to do with the original every iteration). 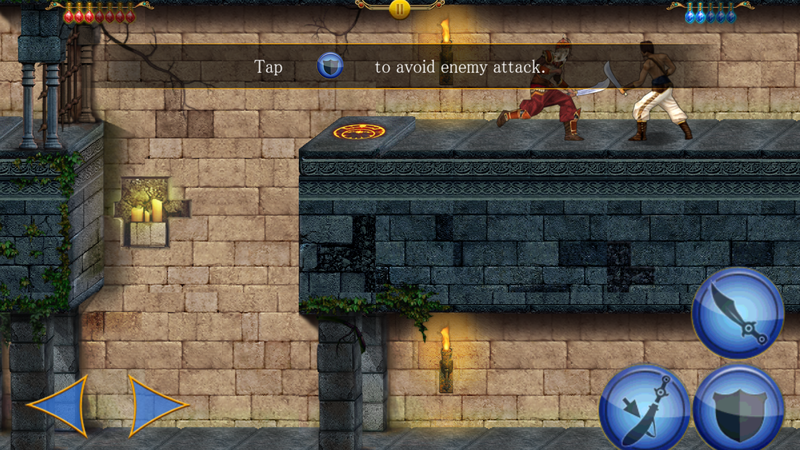 When I saw there was a mobile remake of the original Prince of Persia (branded as “Prince of Persia Classic”) I jumped at it, hoping to relive some memories. I was thoroughly disappointed. Honestly, I was mostly disappointed that they replaced the fat guard with something that looks like it belongs in Warcraft. The fat guard was the best part of the game! First of all, I always find it sad when updated graphics look worse than the original 1980s graphics. The original was famous for its flowing, lifelike animations, hand drawn from video studies of Jordan’s brother performing the actions in the game. In other words, it was, in a way, the first game to use mocap. PoP Classic has stiff, pre-rendered animations that don’t always even match up correctly with the timings on the actions (for instance, I have, on many occasions, blocked attacks after the blocking animation finished). The quality of the pre-renderes is a resounding “meh.” If there was at least an option to switch back to the original graphics and sound (a la Cave Story+) I would be a lot happier with the game. On top of that, the game just has some really annoy quirks. For instance, whenever you get hit in a sword fight, the game reminds you to use the block button. Thanks, I clearly got hit only because I totally forgot to block, and I didn’t notice this reminder the first ten levels. What’s worse is that it always covers almost all of the top third of the screen, even if you happen to be fighting there. Another great “feature” is the butterfly, whose purpose is supposed to be to show you the right way to go (because who likes exploring in games? ), but more often only serves to lead you away from powerups and healing potions. Some games suffer more from poor design than poor controls. Dungeon Defenders: Second Wave is a port of the original PC version. It’s essentially a tower defense/RPG/shooter hybrid, set in a goofy fantasy world. It’s not my favorite game ever, but it’s enjoyable. The mobile port, however, is not. I thought the problem with the game would be the controls; running and aiming on mobile has never worked out for me very well, but Dungeon Defenders seems to have done a decent enough job with it. Tower placement is possibly more intuitive than its PC cousin; simply tap where you want to place the tower, then tap and drag to rotate. The game becomes painful, however, when trying to target a specific enemy in a crowd. The game uses a lock-on system rather than an aiming reticule, so the game guesses at what enemy you were aiming at and automatically sends your arrows/spells/whatever toward that until you have clearly moved away from it. You can also tap enemies to lock on, but when there are thirty goblins zerging my turrets, I usually spend more time trying to tap on that one dark elf sniping me from range than I do actually killing him. Maybe I’m just doing something wrong, and it would probably help to play the game on a full size tablet rather than my 5 inch phone screen, but thus far I haven’t gotten much enjoyment out of it. Mobile gaming is here to stay, whether I like it or not. There will be good ports and bad ports, good ideas and bad ideas. Occasionally some games, like my current go-to mobile game, Bloons TD5, may actually play better on mobile than their PC and console versions. But these are few and far between, and generally the best I can hope for is that a given game will be at least almost as entertaining on my phone as on my PC. And one thing is for sure: as much as I cringe when I hear “mobile port,” at least it’s not as flaky as trying to play the game with a Wiimote or Kinect. Hmm… I feel another rant coming on… I’d best stop writing now. What are your thoughts? Do you know of any mobile ports I should try to change my mind? Any mobile horror stories to share? I’d love to hear about it in the comments! I haven’t fallen in love with any mobile games yet, but the closest I’ve been is probably Ascension. It’s a port of a tabletop deck-building game, and the touch controls feel really solid.